In “coming out of the closet,” I am referring to the psychedelic closet, as legendary Rick Doblin has put it. Sometimes I wonder if we’re all in the closet in one way or another. Is there anything that I keep to myself? Yes, there are a few things, but then again, there are always a few people who know. I never keep anything completely to myself. I’ve found it to be a great practice for me-just being open, even if it’s only with one person. I am so grateful for my relationship with my husband Joe, because I feel comfortable and happy to share with him, so many of my experiences and secrets. Joe and I visiting the foreign land of London around the time that we first met in 2008! cherished memories that are personal, yet shared in some way with others who happened to visit that same location. Some psychedelic experiences are like visiting a foreign land, and sometimes people have similar experiences visiting that foreign land. This was the case for Joe and I. We had so many stories to share about this foreign land that we had both visited, and many of these stories intersected. This is a very brief story, and I’m simply describing one very small piece of the incredibly dense journey. I’m focusing here on what psychedelics, specifically ayahuasca have helped me learn about my relationship with myself and food. holding onto a bucket and vomiting. I guess I could say I was holding it in. I needed a break from the intensity. 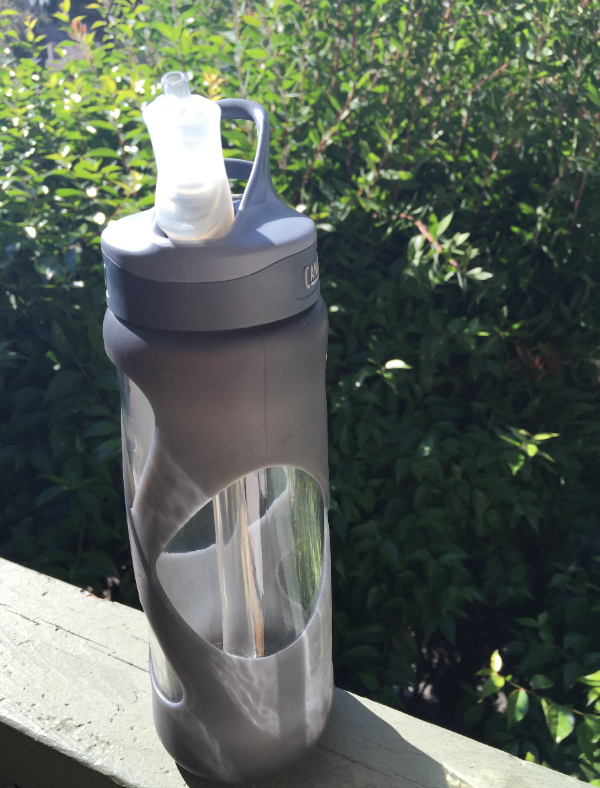 I felt this ceaseless sense of dehydration, and forced myself to sip water from my water bottle that was tainted with a hint of apple flavor. Earlier in the day, before the journey began, I was making my best effort to hydrate before drinking the ayahuasca. Unfortunately, I couldn’t do so at the pace that was necessary, and decided to flavor the water in my bottle with a bit of pineapple chunks, watermelon slices and just a few drops of apple juice. I began with just the pineapple and watermelon, but resorted to the apple juice because the intensity of flavor was dull and unsatisfying. stomach. I had drank the juice hours and hours before the ceremony and there was no way that I had not digested that ounce of liquid. It dawned on me, the taste of that stale apple juice was not from earlier, it was from my water bottle. That hint of flavor was so intense and pronounced that it overwhelmed my senses. I knew when I poured the juice into my water bottle that I was making a mistake, and disregarded my intuition. This memory brought on the purge. The apple juice was not fresh. It was a terrible decision, and I was paying for it-in a more positive light, I was getting the message, in the most uncomfortable way. A flood of messages came in as I considered that moment when I chose to pour the juice into my water bottle. The water bottle had been cleaned since, but the hint of flavor was still present. It’s a matter of tuning in. I love talking about the senses and sensuality. Taking a moment to really feel and experience life is an amazingly rewarding practice. I didn’t need to disregard my intuition and pour that apple juice into my water bottle. Better yet, I didn’t need so much! Our senses are such a gift. To be able to taste just a drop of flavor is incredible! Next time I want something, and a voice in my head tells me that I don’t need it, I am going to take it slow. Maybe one drop is all I need. If I really breathe in, go slow and experience that one drop-really savor it, the satisfaction may follow, would you agree? 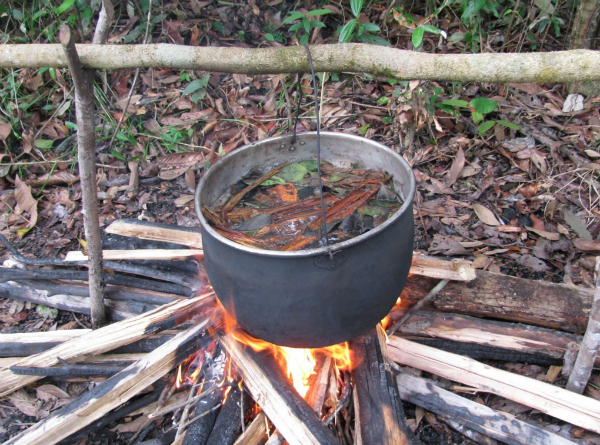 What do you think about my ayahuasca experience? Have you ever learned about your relationship with self or food through such journeys? Please do share! Of course, if you’re not ready to “come out of the psychedelic closet” per se, please feel free to email me-I do love these stories!